In less than two weeks, I'll be participating in the inaugural "Niwot's Challege". This event is not a race, but more so, a mental and physical challenge as designed by Sherpa John Lacroix. Sherpa was admittedly inspired by the Barkley Marathons in his design of this arduous mountain trek set here in Colorado's Front Range. Most of the terrain falls here in Boulder or very nearby. Sherpa has not provided any of us the course map. He has only advised that the course will take us up and over most of the local mountains. A written description provides the location of 13 hidden books, much like Barkley. We must find the books and tear our our prescribed page. Sherpa told me the course is about 50 miles with 20,000' of vertical gain. Furthermore, many of the mountain summits are not accessible by trail. This means that much of the course is off-trail bushwhacking. With only one aid station, the runners will have to carry enough fuel and equipment to navigate alone for more than a day. The City of Boulder, like it or not, doesn't allow organized races on their trail systems. If organized races were allowed, we would have some of the most epic trail races right here in Boulder. The trails and local peaks are absolutely off-the-charts. They are technical, vertical, and ever-changing with the Colorado weather. Since 2008, I have had the opportunity to train here in Boulder and throughout Colorado. I then travel to races that don't hold a candle to the trails I run on every day. Sherpa says nobody will finish Niwots. That fascinates me more than anything. For this reason alone, I want to dive headfirst into this. I'll never be more than an hour from my home. Will I quit like Sherpa predicts? Will I find new strength in the evening hours after others have gone home? It is worth it? What is the measurement of success? Why am I so fascinated by an event just because someone says it's impossible? We don't hear about ultra on the evening news. 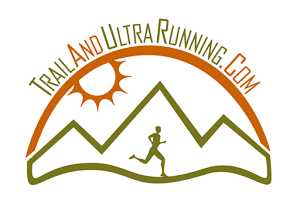 Ultrarunning is not an olympic sport. This is still an underground, grassroots, sport. We are unique and eccentric people. That is what attracts me to ultra. It's the quarky individuals who find home here...and don't really fit in anywhere else. Next weekend, when the first Niwot's Challege begins...it will just be a handful of us out for adventure. All I want is feel proud of my effort. I want to take a few steps into impossibility and return home with a story for my son. Ultra is about finding yourself...and sometimes that means doing the impossible.